Cook rice and allow to cool completely . Heat oil in a pan ,add the tempering ingredients and fry the dal n nuts lightly. Then add green chillies,curry leaves and onion saute for a minute and add finely chopped carrots and stir fry for another minute. After that add cabbage and turmeric powder and stir well and stir fry the cabbage briefly till its done. Lastly add some finely chopped coriander leaves and turn off the stove. 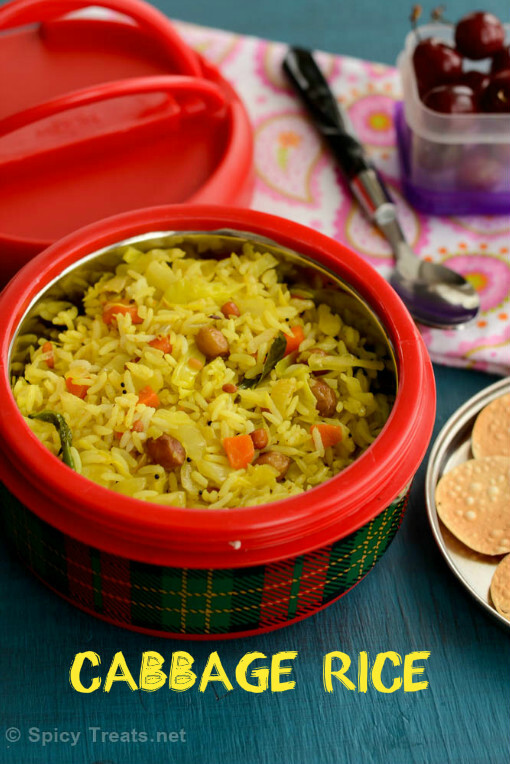 Yummy Cabbage rice is now ready to pack for lunch box or serve hot. 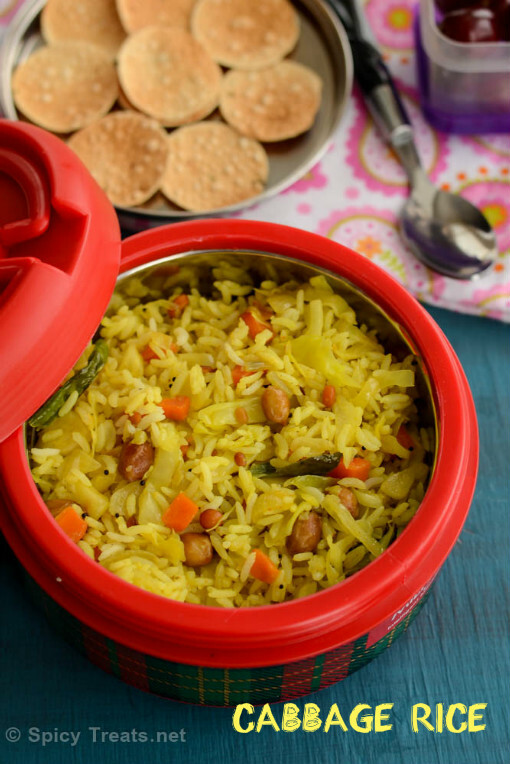 what a delicious rice..adding cabbage is new to me..colourful and tasty rice. Colorful Rice. Nice idea to add peanuts. yummy cabbage rice..lovely clicks too.. I was wondering what happened to your blogging,no news since 2 days..anyways sounds gud dt ure back hail n hearty! Quick and filling cabbage rice,simple yet delicious...i do this quite often whenever i feel like feeding my small family with cabbage.. This's a great idea for a one pot- looks vibrant and delicious!